Why Join the Cremation Society of Indiana? As early as the 19th century, Americans have joined cremation societies as a means of communicating their wishes to family members who will eventually make their final arrangements for them following death. The Cremation Society of Indiana continues this rich tradition, offering families in Indianapolis and surrounding areas the opportunity to record and preserve their preferences. 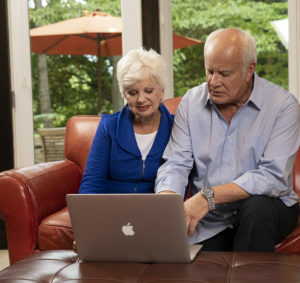 For a very low membership cost of $35 per individual, or $50 per couple, you can record your wishes, and even pay for your arrangements on our website in the comfort of your own home. Also, by being a member you qualify for the lower member price either in advance of need or at time of death. We have found a traditional funeral is not right for everyone. Some people prefer the expediency and low cost of a cremation without ceremony. The Cremation Society of Indiana specializes in this. And since we operate our own crematory, your loved one never leaves our care. We offer additional peace of mind through our affiliation with Wilson St. Pierre, a traditional funeral home that has been serving our community for over a century. Just complete the simple online form and submit it with your $35 individual, or $50 couple, lifetime membership fee. As a member, you’ll receive an additional $100 discount after six months of membership. Our wide selection of plans is designed to be comfortable for any budget, and our selection of beautiful memorial items is very reasonably priced. Once we process your application, you’ll receive our official membership card and certificate.